A dominant grid presides over many South African townships. For most residents, it is associated with inequality and overbearing governmental control. 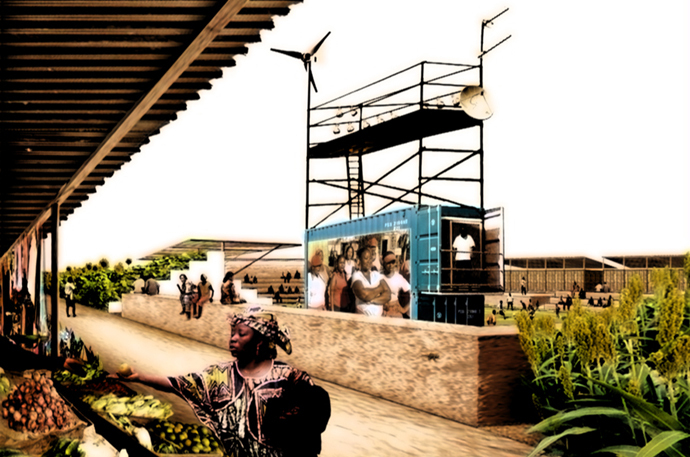 This Architecture for Humanity competition proposal disrupts and fragments these rigid divisions to create a new social centre for all of the community. 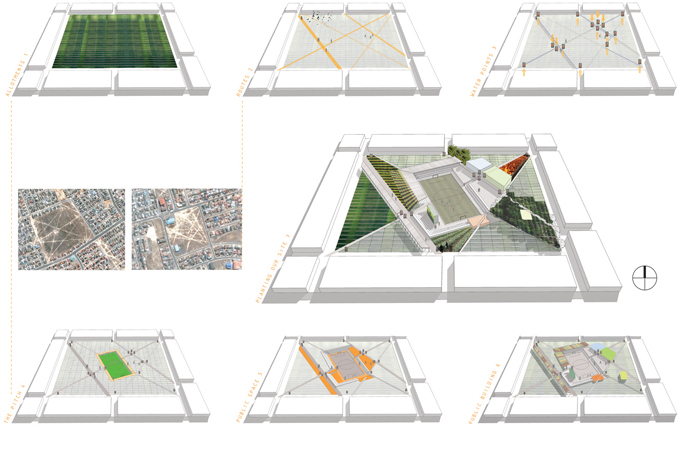 The proposal is for a strategy that produces different configurations from site specific conditions, allowing community involvement in its development and adaptation. 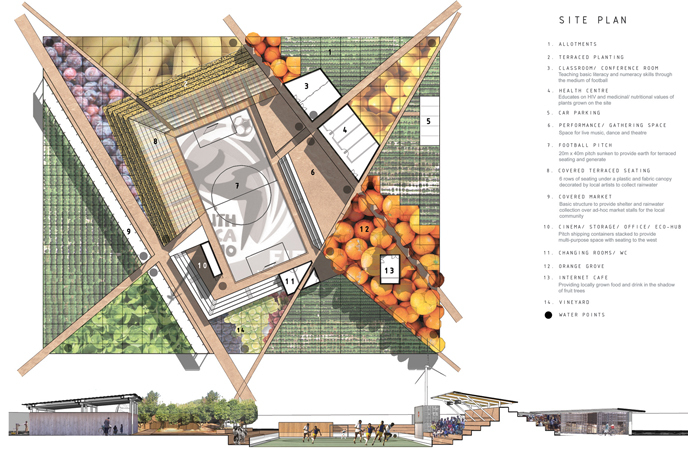 The site is portioned into community-accessible allotments. Water collection and distribution points are located at the intersection of routes, following existing informal paths. 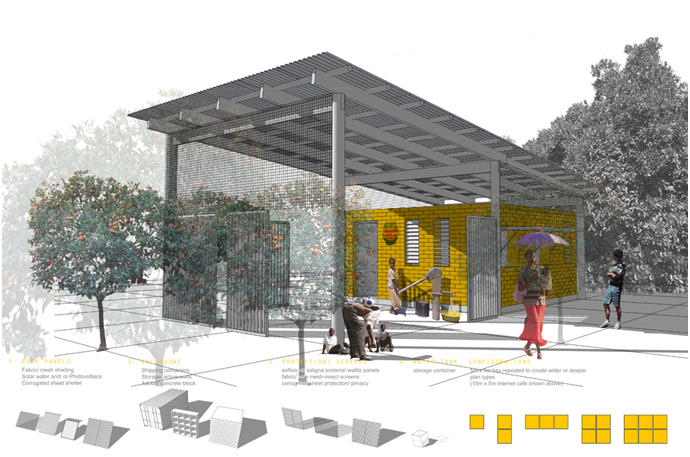 Public spaces, flanked by community buildings, are developed around water points and the centrally-located pitch. These include a cinema and a public gathering/ performance space, and a linear market, which may expand to accommodate craft workshops. Recycling is integral: drinking water is captured from roofs and grey water is used for irrigation. A power hub supplies electricity so that people can charge batteries etc.